However, one of the downsides of this is Mobile Foxtel is only available over 3G/4G – you can’t watch over WiFi, even as a Telstra BigPond customer. This might be annoying if you have to change between WiFi and 3G to watch Foxtel often. Of course – this is really only an issue when at home, work, or if you pass by a Telstra Air hotspot and have WiFi on. 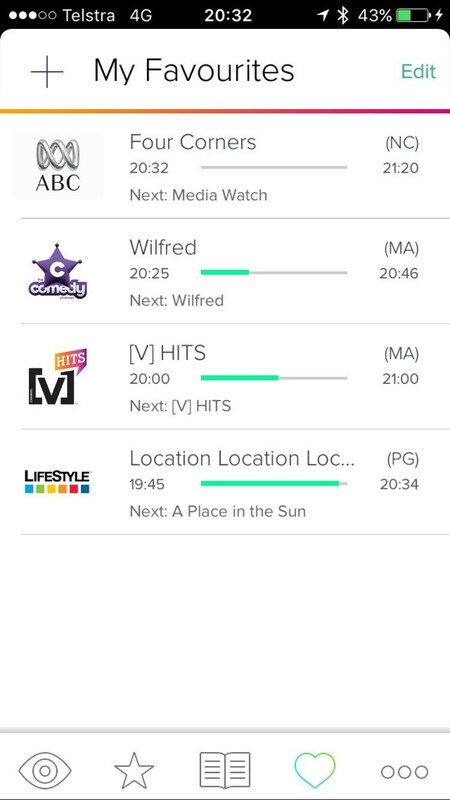 Mobile Foxtel isn’t ‘true’ Foxtel, in the sense that not all of the channels are ‘live’ and linear. 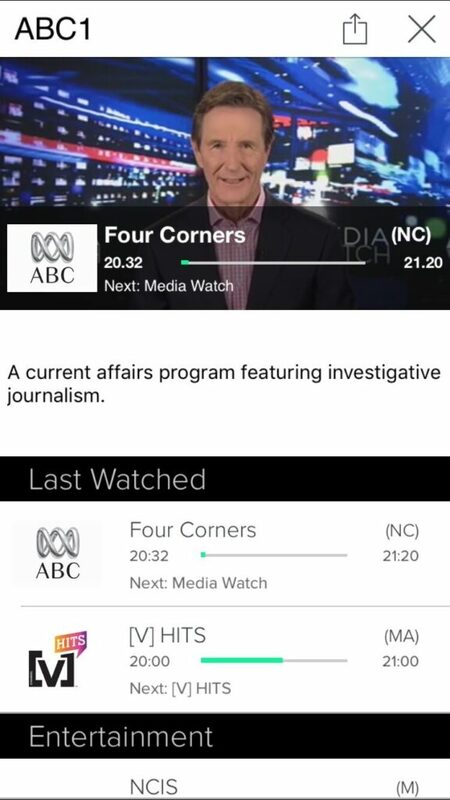 Some of the channels, like Sky News, National Geographic and ABC/SBS are ‘live’ – what you see on ‘real’ Foxtel on your TV is what you’ll see on Mobile Foxtel. Some of the other channels, like FOX8, Lifestyle and Comedy aren’t live, and are a selection of shows played on a loop. 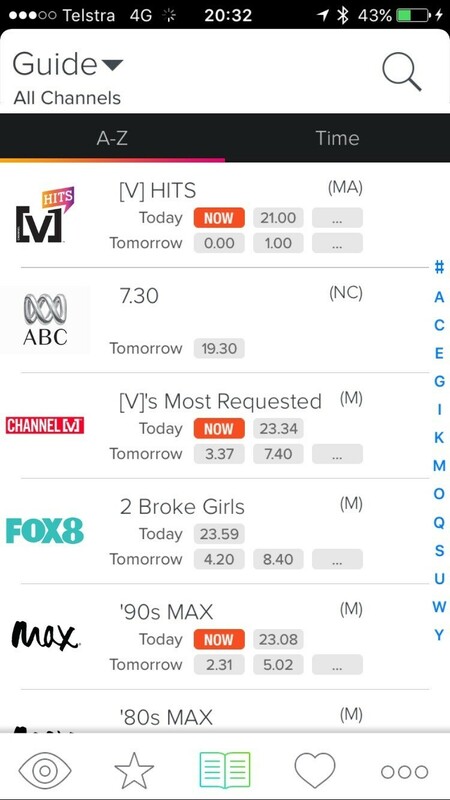 If you want ‘live’, you’ll need Foxtel Go, which isn’t unmetered over Telstra mobile – it seems like a fair trade off considering the price of Mobile Foxtel. 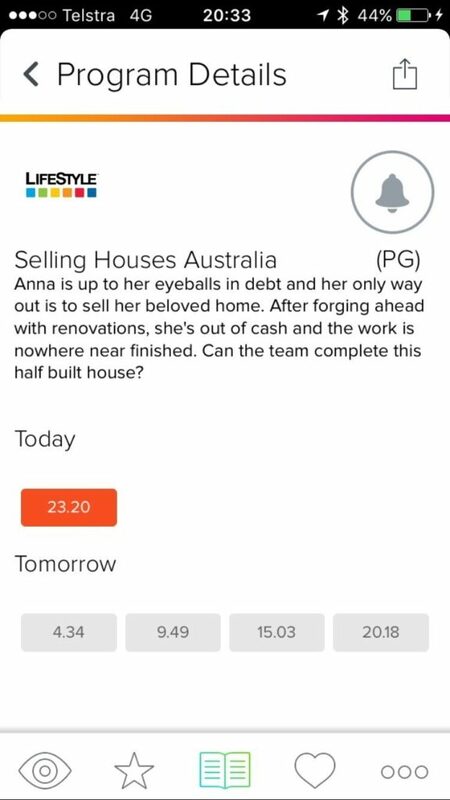 Just remember that because ‘Selling Houses Australia’ is on at 7pm every night, doesn’t mean it’ll be on at that time, or at all on your phone! 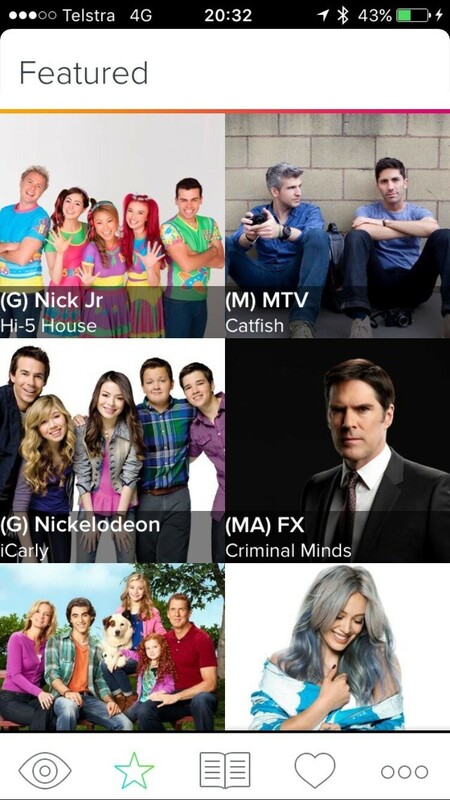 Luckily there is a guide, and you can set reminders for individual shows so you don’t miss out on your fix. It’s a good way to keep yourself busy and entertained while out and about, for example, on the train to/from work, or even those really quiet nights at work – just fire up the app and watch whatever’s on! The quality is fine for watching on your phone, and works fine with the speakers on your phone or headphones. While you can use an external display with the app using an adapter, it’s not really worth it as the quality isn’t there for bigger screens. Save your time and money here. There’s one thing that iOS users may find annoying though – the app still hasn’t been optimised for the iPhone 6 and 6 Plus. One of the other features that I would love to see in the future (but might threaten Foxtel Go too much), would be the option to catch up on some shows, if you missed them ‘live’ – this would hopefully include the ability to rewind the live stream as well – there’s nothing more frustrating than to start watching Embarrassing Bodies when you’ve missed the first half of the show! Overall, I like the idea of Mobile Foxtel, and it’s a great way to kill time – especially while commuting, and stream some channels live when you don’t have access to a TV. 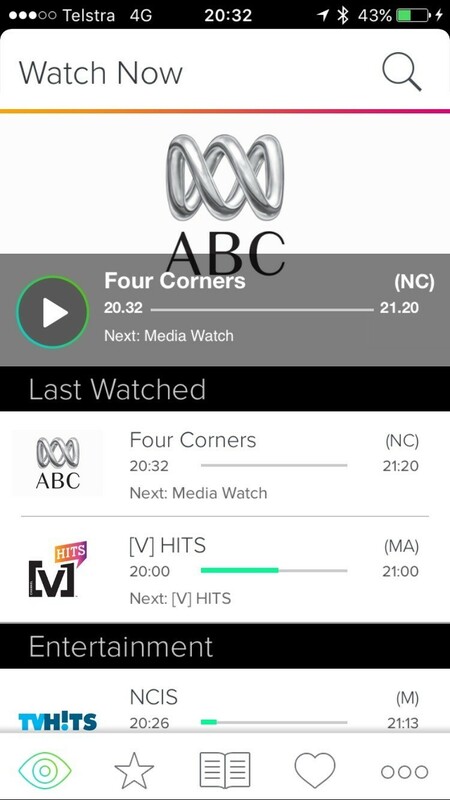 While it may not be the most feature packed service, it works perfectly fine as a ‘Foxtel Lite’ type service, with the benefit of not counting towards your data limit too. You can find out more about Mobile Foxtel on the Telstra website here.